Atlantic City’s casinos are putting a lot of faith in online gambling and are hoping that it helps turns their fortunes around. 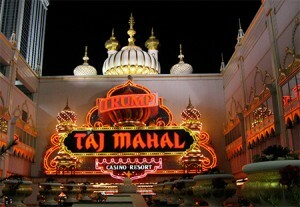 Will online gambling lead to a reversal of fortunes for Atlantic City or will visitor numbers decline even further? In 2006 Atlantic City’s casinos took in $5.2 billion, however, since then there has been a huge decline mainly due to competition from casinos opening in Pennsylvania, last year A.C. casinos grossed just over $3 billion. However, the casinos will be partners in the online gambling operations, not competitors. Because of this they are welcoming the change in legislation. Over the last few months the casinos have been partnering with online operators in preparation for the application deadline of July 29th. However, if one looks at the fate of bookshops and music shops which have suffered over recent years due to the rise of websites like Amazon, it is clear that the casinos definitely have their work cut out.